President-elect Donald J. Trump and his transition team unveiled an extensive plan to avoid conflicts of interest between his private business empire and his public office at a press conference at Trump Town in Manhattan on Wednesday morning. The plan was presented by Sheri Dillon, a tax attorney at the Morgan, Lewis and Bockius firm. The goal of the plan, she said, was to ensure that Americans could “rest assured that all of [Trump’s] efforts are directed to pursuing the people’s business and not his own. The plan involves several major elements, the first of which is President-elect Trump’s decision to place all of his business assets, liquid and illiquid, in a trust by the time he is sworn in Jan. 20, and to hand control of the family business to his sons, Eric and Donald, Jr. Furthermore, the management of the new family business entity, Dillon explained, would appoint an Ethics Advisor, whose written approval would be required for any dealing “that could potentially raise ethics or conflicts of interest concerns.” The Trump Organization had also created the position of “Chief Compliance Counsel” to oversee conformity with ethics rules. The confirmation of homeland security secretary designate John Kelly got underway Tuesday in the Senate Armed Services Committee. Kelly, President-elect Donald Trump’s pick to lead the U.S. security department, began answering questions from the panel at 3:30 p.m. Tuesday. One of the questions he faced involved Trump’s pledge to build a wall between the United States and Mexico. As homeland security chief, Kelly would play a significant role in such a project. Kelly said, though, that simply putting up a wall and hoping to stem the flow of drugs and migrants would not be enough. “A physical barrier in and of itself will not do the job,” he said. “It has to be really a layered defense.” Kelly, a retired general of the U.S. Marine Corps, also told the panel Tuesday that he believes in “diversity of opinion” and has never had trouble standing up to other authority figures. Alabama Senator Jeff Sessions appeared Tuesday morning before his colleagues on the Senate Judiciary Committee to begin his confirmation hearing to serve as Attorney General of the United States. Here are a few facts about the man who is likely to be the nation’s next Attorney General. (1) Jeff Sessions has spent five decades as a champion of civil rights. (2) Jeff Sessions is the intellectual architect of a new civil rights agenda to help unemployed African Americans into good-paying jobs. (3) It is largely ignored by corporate media, but Sessions has also risked more professionally than perhaps any lawmaker in Washington to advance the interests of American workers. (4) Sessions’ 20-year career in the U.S. Senate may be the most spotless of any Senator in the post-World War II era. (5) All major allegations against Sessions from three decades ago have been disproven, discredited, or debunked. (6) Sessions has been endorsed by some of the most prominent African American leaders in his home state of Alabama— including top democrats. Libaba’s Jack Ma told incoming US president Donald Trump about his plans to create a million US jobs by bringing farmers and small businesses onto its platform to sell to Chinese consumers over the next five years, an Alibaba spokesman told Reuters. “We had a great meeting,” Trump told reporters on January 9 as he accompanied Ma back down to the lobby of his Trump Tower headquarters after the meeting. He hailed the 52-year-old self-made Chinese billionaire as a “great, great entrepreneur, one of the best in the world,” AFP reported. Trump, who made job creation a core of his election campaign, said the two would do great things together. President-elect Donald Trump is reviving long debunked attempts to link vaccines to autism, meeting with a vocal skeptic to discuss chairing a commission on vaccination safety -- a move that alarmed child health experts. Robert F. Kennedy Jr. met with Trump at Trump Tower in New York on Tuesday, and told reporters that he had agreed to lead the effort, whatever form it takes. "President-elect Trump has some doubts about the current vaccine policies and he has questions about it," Kennedy said, adding that "we ought to be debating the science." To pediatricians, there's nothing left to debate. "Vaccines have been part of the fabric of our society for decades and are the most significant medical innovation of our time," Drs. Fernando Stein and Karen Remley of the American Academy of Pediatrics said in a statement Tuesday. Hearings regarding President-elect Donald Trump's cabinet appointments began on Tuesday with Trump's attorney general pick, Alabama Sen. Jeff Sessions. Trump's appointee for White House press secretary, Sean Spicer, said that the president-elect is very concerned about the dangers of drug and alcohol abuse. "I think there's genuine concerns about how our country - and how our young kids, in particular - have handled drugs and alcohol. And it's something that we've got to be careful with," Spicer said. "When you come into a Trump administration, it's the Trump agenda that you are implementing, not your own," Spicer said. "And I think that Sen. Sessions is well aware of that." Bernard Arnault, the head of French luxury conglomerate LVMH, told reporters he was considering expanding his US factories after talks with President-elect Donald Trump at the Trump Tower on Monday. Arnault, 67, is the first French executive to meet the next US president at his opulent mansion, located a stone’s throw away from Louis Vuitton’s flagship New York store. Addressing reporters after the talks, Trump described France’s richest man as “one of the great men” who “love this country”, adding that Arnault planned to create “jobs, lots of jobs”. The French executive said his company planned to expand its Californian facilities, citing the “immense success” of Louis Vuitton products manufactured in the Golden State. Organizers of President-elect Donald Trump's inauguration are planning an event fit for the “greatest celebrity in the world,” featuring the beauty and “sensuality” of Washington. “We're fortunate in that we have the greatest celebrity in the world, which is the president-elect, side by side with the current president,” said Thomas Barrack, an investor who serves as chairman of Trump's inaugural committee. “So what we've done, instead of trying to surround him with what people consider A-listers, is we are going to surround him with the soft sensuality of the place. “It's a much more poetic cadence than having a circuslike celebration that's a coronation,” he added, speaking to reporters in the lobby of Trump Tower in New York after a meeting Tuesday with the president-elect. “The cadence of it is going to be 'let me get back to work "
Bernard Arnault, the head of French luxury conglomerate LVMH, told reporters he was considering expanding his US factories after talks with President-elect Donald Trump at the Trump Tower on Monday. Addressing reporters after the talks, Trump described France’s richest man as “one of the great men” who “love this country”, adding that Arnault planned to create “jobs, lots of jobs”. 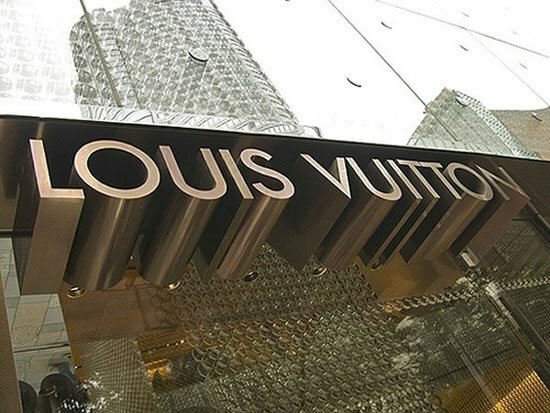 The French executive said his company planned to expand its Californian facilities, citing the “immense success” of Louis Vuitton products manufactured in the Golden State. “We haven’t decided yet, but it will be done very soon,” he said.